Online book reading platform Idefix, has released a list of what it describes as the most well-read cities in Turkey, based on book sales made in the past six months, and has named Ankara as the city that read the most books. After creating a "Turkey reading culture map" from the data it gathered, Idefix found that Turkish readers mostly prefer novels and children's stories, while Ankara stood out as the most 'bookish' province in Turkey, closely followed by Istanbul, Eskişehir, Izmir, Tunceli and Muğla. Naming the list "What is Turkey Reading?" Idefix analyzed six months of sales figures across various provinces in Turkey, and based its ranking on the number of books sold to the city, the total number of books sold, the city population and the total population. According to the list, southeaster Şanlıurfa became the province that read the least books, while Yozgat, Adıyaman, Osmaniye and Kahramanmaraş provinces, also located in southern and southeastern Turkey, ranked at the bottom. Meanwhile, Austrian novelist and playwright Stefan Zweig became the writer most read by Turkish readers, and Turkish musician, writer and poet Zülfü Livaneli came in second. In third place came Israeli historian and philosopher Yuval Noah Harari, author of international best-sellers "Sapiens" and "Homo Deus," while classic and well-loved writers such as Yaşar Kemal, George Orwell and Jules Verne were at the top of the list. 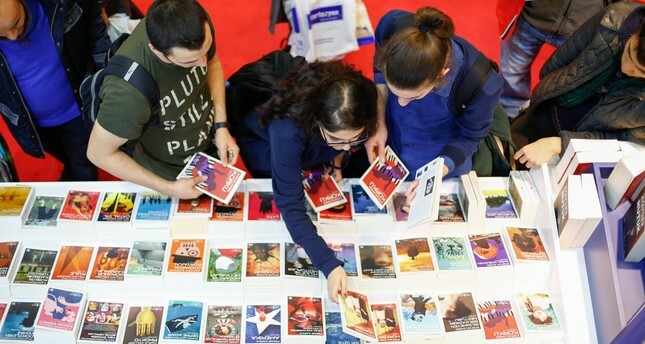 The most popular publishing houses were İş Bankası Kültür Yayınları, Yapı Kredi Yayınları and Can Yayınları, according to the list.